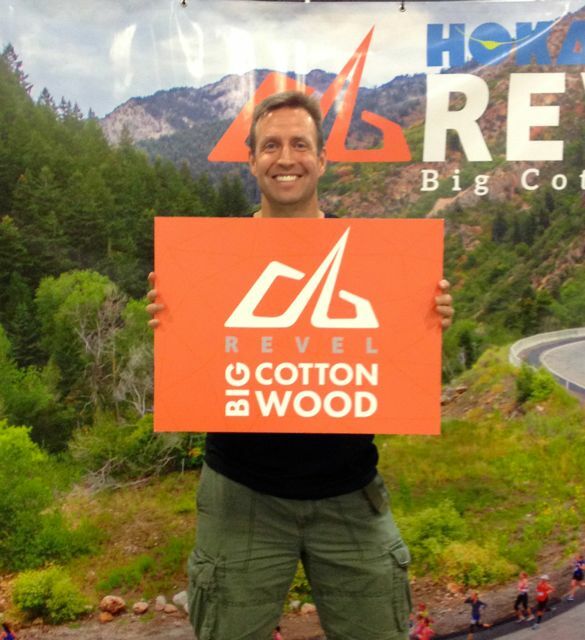 Greetings from Utah and the REVEL Big Cottonwood Marathon/Half Marathon. It’s already been a blast of a day (that started pre-dawn) and we don’t even run until tomorrow. After waking up at 3:45am and treking to LAX, I met up with my friends BustA Groove and Donielle for a fairly quick Southwest Airlines jaunt (about 90 minutes… enough time for some peanuts and a few games of Candy Crush Saga) to Salt Lake City. 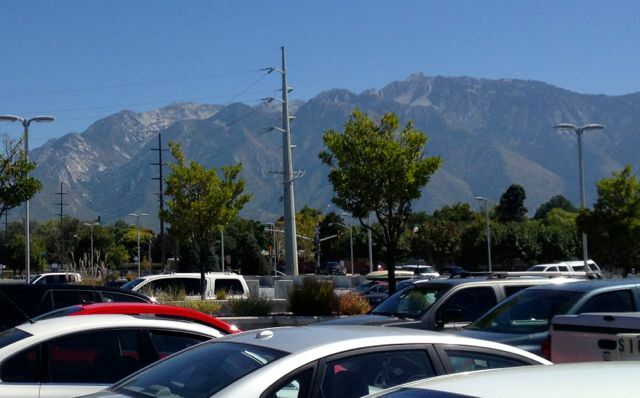 Needless to say, Salt Lake City is a very pretty place and we were all pretty impressed with the scenic mountains in the distance… the very same mountains we’ll be running down tomorrow morning. 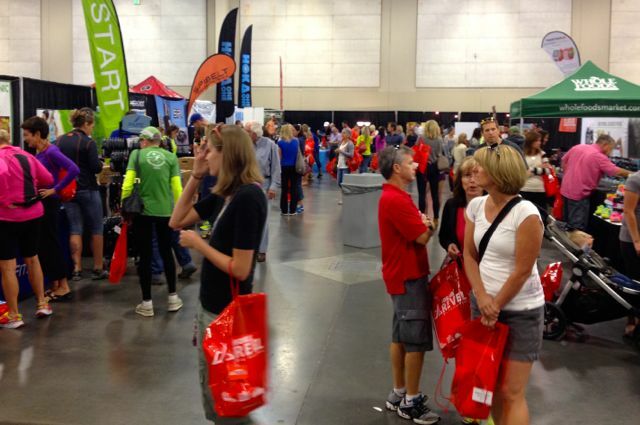 BustA and I quickly made our way to the race expo (she and I are both REVEL race ambassadors) getting our bib/tech shirts, some swag, and saying “hi” to the race directors for Big Cottonwood and Canyon City (the next race in the REVEL series). We also ran into Donielle and Alicia (another REVEL ambassador) and spent a few minutes feeding our various photo addictions. After a casual group lunch and some more race shopping (yeah, we’re awful) I’m back at the DoubleTree Suites (a very nice hotel) to relax for a bit and start getting ready for the race (cue my runner’s OCD). I must say I’m in a little bit of uncharted territory for tomorrow’s half marathon. I’ve never done a race at altitude (the starting line is over 7000′ above sea level), nor have I ever done a decline race (pray for my quads). In addition, I’m coming off a fairly icky race at Disneyland two weeks ago (okay, it was uber-icky). 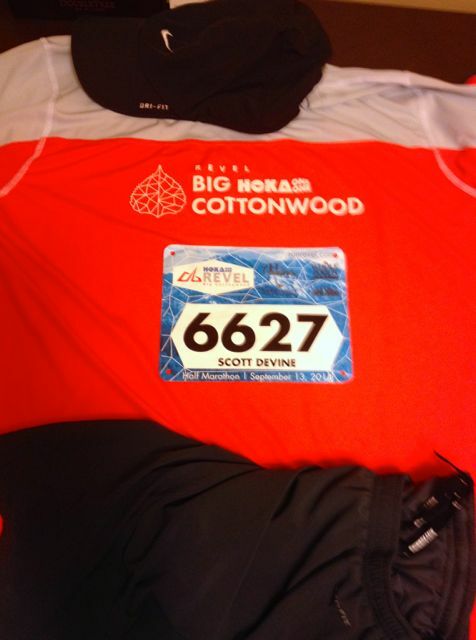 Months ago I planned for Big Cottonwood to be the race where I pushed it to the max in the hopes of a PR and finally breaking the 2-hour half marathon mark. Now, my main goal is to have a fun race and regain my swagger. That doesn’t mean I’m not prepared to kick it into high gear should things go well, but I am determined to run this race smart (got a lot of races coming up this fall). Oh, and one other thing. I’m going to try one other “new” thing on race day (I know, I know… nothing new on race day). But this is more of flirting with a superstition. For the first time every, I’m going to wear my race shirt on race day (be gentle with me racing gods). Why tempt fate you may ask? Simple, as a REVEL race ambassador I want to show my support for the series (looks like it should be one helluva race tomorrow) and proudly wear the race colors. 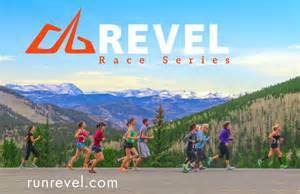 Posted on September 12, 2014, in General, REVEL Race Series, The Race "Experience" and tagged Revel Big Cottonwood. Bookmark the permalink. 2 Comments. My cheers are with you REVELers from afar! And I love the race shirts. I hope those are the exact ones they have at Canyon City! Thanks for the shout out. I’m really excited for the race. And the shirts are similar to the Rockies Race (Canyon City’s should be pretty sweet too). No idea what the medal will be like tomorrow (they’ve kept it a secret).